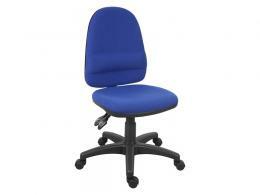 Office chairs are a necessity in any office or workplace. The right chair will provide flexible comfort for people of any size. Especially those who need to be able to sit for long stretches of time, such as employees. They also need to suit various desks and work surfaces, not to mention blend seamlessly with professional office décor. We have a wide selection of desk chairs that suit any of these needs, from wallet-friendly options to plush, executive styles. 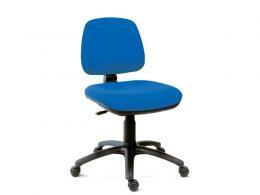 Our range of ergonomically designed chairs will work with any budget. No compromise on comfort, practicality, or style. The Ergo Blaster Operator is height adjustable, can tilt with an adjustable backrest. It comes in black and blue and is perfect for employees. 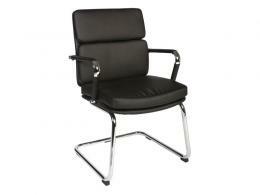 The Nova Office Chair, with its black mesh back and chrome base, is a modern option. They’re height adjustable and come with armrests for ultra-comfort. For elegant chairs with high quality design, look to our executive–style chairs. 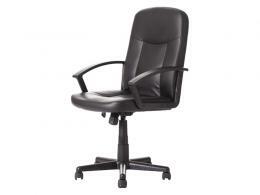 The Goliath Executive is a luxury model with a generously roomy seat, padded armrests, and long-lasting construction. 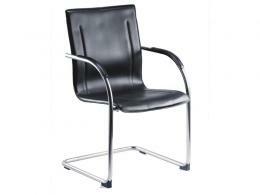 The Milan Executive Chair is upholstered in faux leather with armrests and a stylish chrome base. The adjustable seats reclines and provide lower lumbar support for the ultimate in comfort as well as elegance. 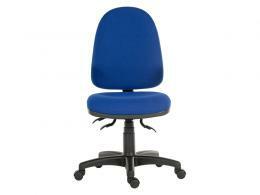 Most of The Workplace Depot’s office chairs come with a standard one year warranty, which includes parts and labour. A few models come with 2 year parts/labour warranties, such as the Amber Fabric Chair and Amber Leather Chair. Of course, our products all include free delivery. Check out the entire stock of The Workplace Depot’s computer chairs and find the right comfort solution for your office today.